Are you wondering how to find the best deals on airfare? We’ve been able to travel to some pretty awesome places on a budget because I have been mastering how to stalk airline prices. We actually planned a few trips by not knowing where we were going and just keeping an eye on low airfare. If you know when and where you want to go, http://www.hopper.com/reports to find the best times to fly and buy tickets. You can download the app as well from the Android Play or Apple App store. Once I find a good airfare, I will find out which airlines are offering the deals and I will go directly to their websites. The reason for this is some sites may have hidden fees so I like going directly to the source. You can also book trips through sites like Expedia and Groupon. I’ve never personally booked a trip this way but I have heard that you need to make sure you read through their terms and conditions very closely. The experts say the best time to look is 6 weeks out from your travel date and on a Tuesday afternoon as this is when the best times to purchase airline tickets happen. Keep checking prices every day. I can honestly say that I have seen prices change dramatically within 24 hours. No real rhyme or reason but I often refresh the sites above when I am looking for a good deal. Sign up for airline emails from each airline. You’ll be the first to know when they start their sales. Don’t discount the discounted airlines. I think these airlines get a bad name because people have high expectations. If you don’t expect a first class ride, these airlines are perfect. Clear your cookies or go incognito. The experts say that the more you “stalk prices” through an airline, the more they think you are really wanting that airfare and they may raise the prices based on that history. Sign up for deal alerts on the sites above and they will let you know when prices drop. Follow the airlines on social media and sometimes they will offer deals to their fans. We have found some of the best deals happen on red eyes because they need to bring the plane back to the other destination by morning. Consider flying on alternate dates. When you look at the calendar, try to do a view of the entire month. Sometimes flights fluctuate by hundreds of dollars just a few days later. Pack like an expert! You can easily pack everything in a carry-on, see our packing tips here! Remember on the cheaper airlines that if you don’t pick your seats, they won’t charge you for an assigned seat. You just have to be okay with a random seat. Consider flying a red-eye, sometimes these are the cheapest option available. 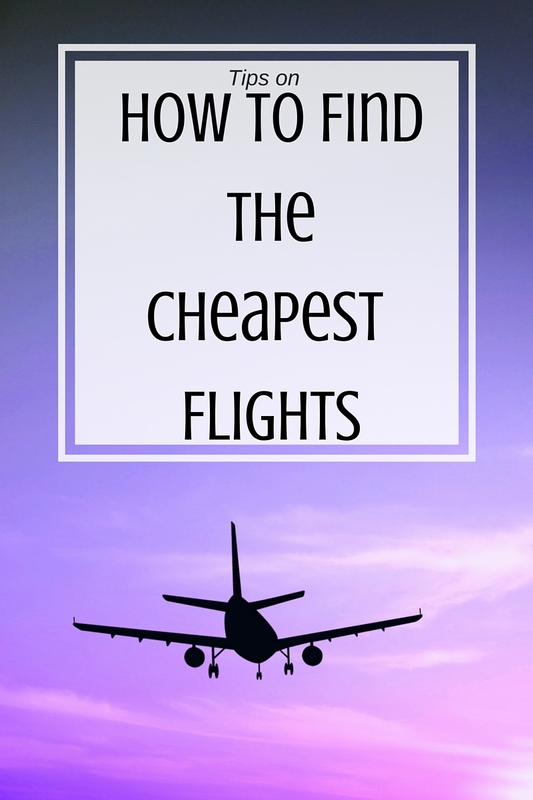 What are some of your favorite tips for finding cheap airfare?